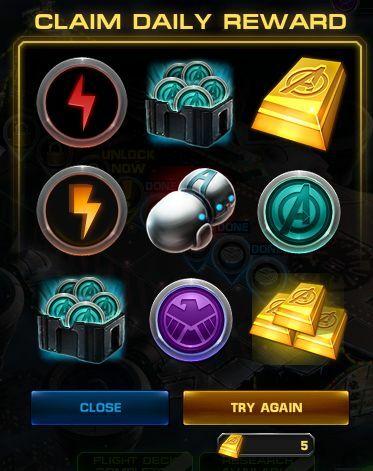 ooh neato: Marvel Avengers Alliance: New Daily Lotto! Looks like Marvel Avengers Alliance is now offering a new Daily Lotto when there's not a Spec Ops up. Previously, there was no daily lotto offered between Spec Ops.